In the early 1800s, the time of Schopenhauer and Kierkegaard, Germany and German thought went through a period of great pessimism. Just like in ancient Egypt, Greece and China, human thought often flourishes in periods of tragedy as people are forced to turn critically to old conceptions and institutions and ask hard questions about what works and does not work for the individual and the community. In the late 1700s, the American and French revolutions, along with developments in England, had brought new rights to the common people. At the time, Germany was a loose confederacy of regional principalities, ruled locally by princes. 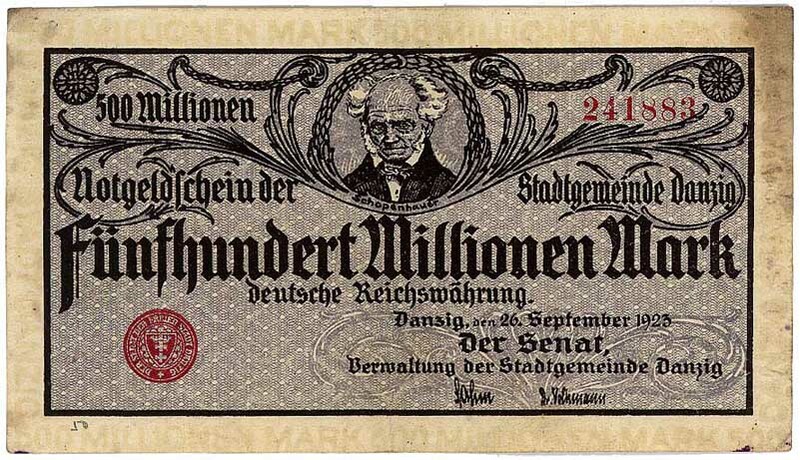 When the German people rose up to fight for rights similar to their neighbors, several of the powerful princes came together to crush the popular people’s movement. Hegel’s followers Marx and Engels wrote the Communist Manifesto for this discouraged audience, arguing that the people would one day rise up and overcome oppression with a revolution that would remove the capitalists from society just as the French Revolution had removed the nobility and much of the clergy from power. German thought likewise turned from the reason of Leibniz and Kant towards the will of Schopenhauer and Nietzsche. Recall that Hume argued that reason is and ought to be the slave of the passions. While many would say that emotion distorts reason, German pessimism saw reason itself as a will and drive to dominate, as the ordering force in a Darwinian world. The world is tough, not necessarily reasonable, and ideas must be fought for, even if they are imperfect. Life, at its best, is romantic and dramatic, not rational or mathematical. Kant and Hegel were confident that reason can complete itself as an objective system. Pessimism turned away from reason, completion and objectivity, towards passion, incompleteness and subjectivity. German pessimism, centrally Schopenhauer and his follower Nietzsche, but also very applicable to the Danish thinker Kierkegaard, fed into the later Existentialism of Sartre and Absurdism of Camus. 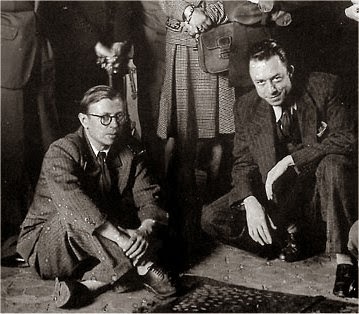 Sartre, who coined the term ‘Existentialism’, claimed Kierkegaard and Nietzsche as its founders, even though neither had used the term. 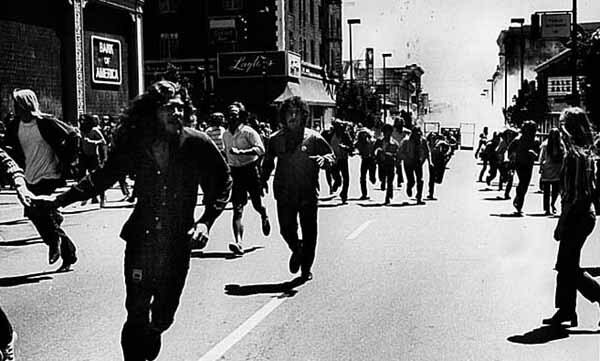 All these thinkers flourished in popularity during two more recent periods of pessimism: WWI for Europe (producing the Dada modern art movement) and post-WWII for America (producing the counter-culture of the beatniks during the Korean war, and then hippies during the Vietnam War, both particularly thriving in the Bay Area). 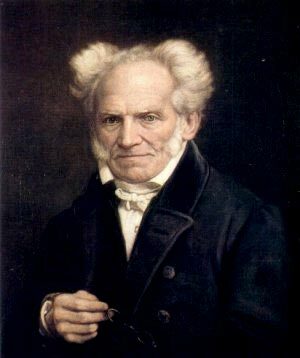 Arthur Schopenhauer (1788 – 1860), who looks in his famous portrait like a cross between a cranky old grandfather and Wolverine of the X Men, was a follower of Kant but took Kant’s philosophy and radically inverted it, making reason a manifestation of will. Like Nietzsche, Schopenhauer’s father died tragically when he was young, leaving him free to pursue philosophy rather than the family profession. For Schopenhauer, it was business. For Nietzsche, it was the ministry. Schopenhauer, more pessimistic about the use of reason than Kant, saw the gulf and gap between the world and our ideas as a stormy abyss that forever frustrates our idealizations. 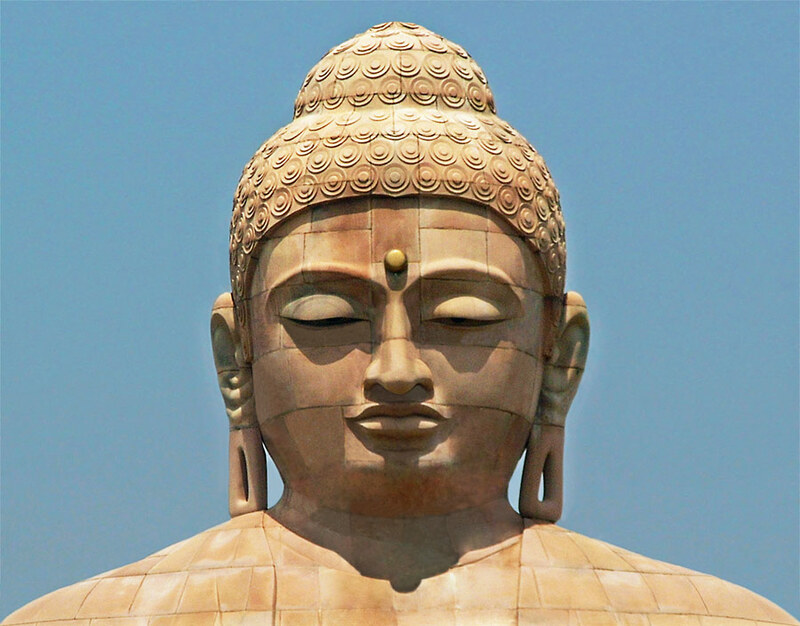 He agreed with Kant that the mind works categorically and mathematically, but the gap between our conceptions and the ‘thing-in-itself’ turned Schopenhauer from Kant’s Rationalism and mathematical science to Buddhism and the ecstasy of art. 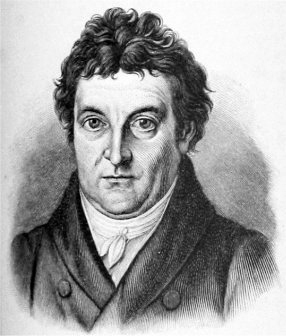 Much as Marx took Hegel and “stood him on his head”, turning Hegel’s dialectical Idealism into dialectical materialism, Schopenhauer stood Kant on his head, in some ways following his own teacher Fichte. Kant sought objectivity in reason, the most abstract part of the mind, the most removed from immediate sensation. Schopenhauer argued that sensation and the experience of the will is basic. Kant’s self-certainty is replaced by Schopenhauer’s will of the body. Like Merleau-Ponty, Schopenhauer argued that our fundamental experience of ourselves is not in the abstractions of reason, but in the embodied will. We are, at base, a striving. This is entirely in line with Fichte’s conception of das Ich (the “I”). Schopenhauer was critical of other philosophers for focusing on abstractions of reason and ignoring love, friendship, sexuality, and artistic passion, which are central to our existence. For Kant, freedom comes from reason. For Schopenhauer, freedom is only found in the assertion of will. For Kant, freedom is a moral decision. For Schopenhauer, freedom is found in action. Schopenhauer considered the freedom of reason to be an illusion, as the mind is compulsive relative to the body. Thoughts appear free, but the purest part of our freedom is not in the channeling of abstractions, but in the self-recognition of volition, of will. 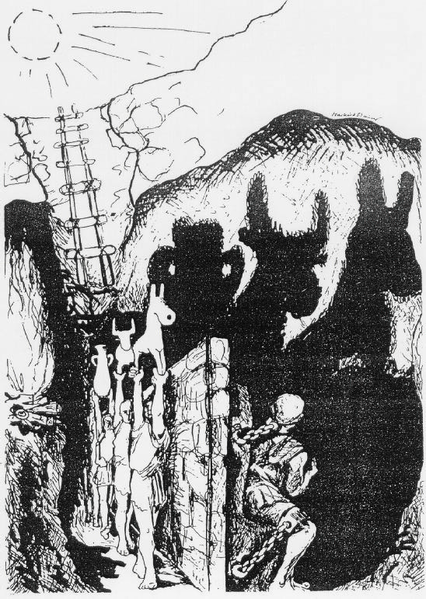 In Plato’s Republic, Socrates uses the Allegory of the Cave to illustrate how the common people believe in shadows, while the wise few wander outside and see the sun itself. However, for Plato, the shadows are the desires that keep us bound, and the things outside the cave are eternal ideas. For Schopenhauer, the shadows are abstract ideas, and the sun outside is the will of the cosmos. It is reason that is delusion, and desire the underlying reality. Freud would later attempt to systematize this insight as the psychological practice of Psychoanalysis. For Schopenhauer thinking is delusional abstraction that separates us from our true self. It is individuation of abstraction, the abstract idea of separate selves, separate from the world and each other, that causes the cosmic will to be at odds with itself, which causes the selfishness often associated with will. 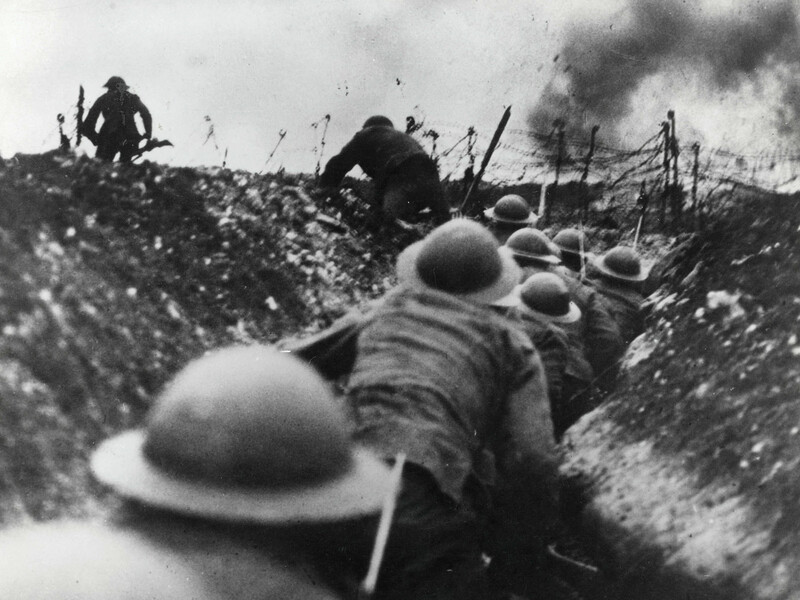 The world is a battleground because of abstractions and ideas, which have misled the will into conflicts with itself. 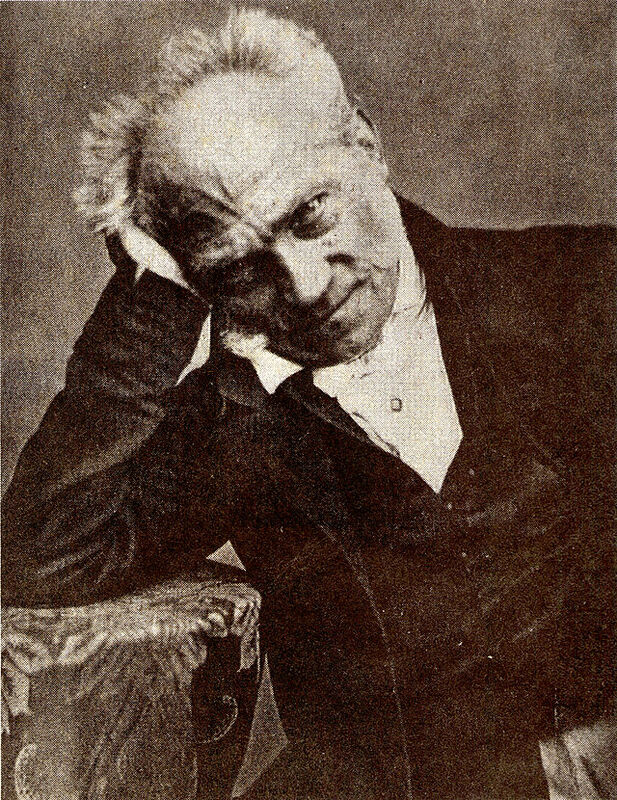 For Schopenhauer, science is not raising humanity up, but dividing it among itself. Science conjures up distinctions, while only art reunites us with the will as an undivided whole. The supreme insight is seeing beneath conceptions to the true essence. This is true genius, not a science, but an art. While the Analytic tradition admires precision and science, the Continental tradition enjoys depth and art, and it is with Schopenhauer, Kierkegaard and Nietzsche that Continental thought takes its turn towards the dramatic. For Schopenhauer, the will is the ultimate basis of projection, the engine of what should be, and reason and its concepts abstract dreams. For Kant, it is reason that unites humanity in the universal idea of itself. For Schopenhauer, it is will that unites us with the will of others and the world as a whole. 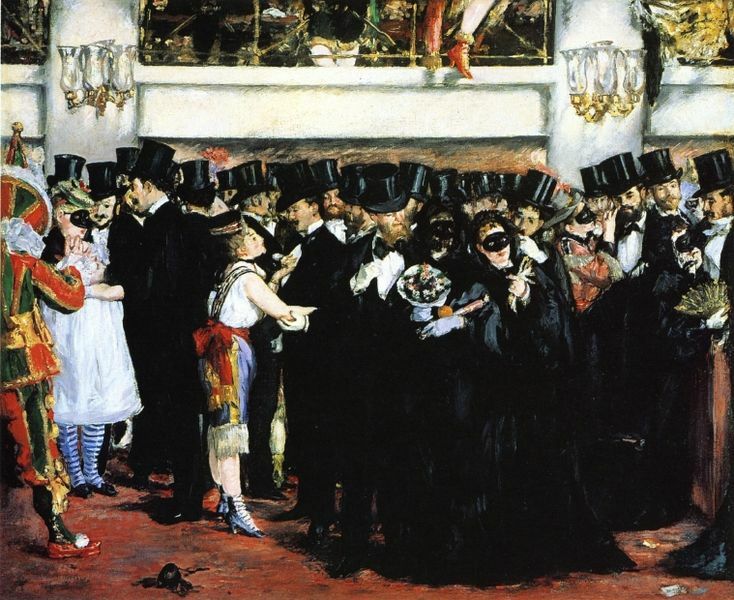 Schopenhauer said that Kant was like a man at a masked ball who spends the entire evening wooing a woman in hopes of conquest, only to find out at midnight that she is in fact his wife. Recall that Hegel disliked Kant’s gap between our ideas and the ‘thing-in-itself’ and believed that it could be overcome by reason through dialectic. Schopenhauer disagreed with Hegel and argued that reason could not overcome the gap. In fact, Schopenhauer and Hegel both taught at the University of Berlin as brief philosophical rivals. As Hegel was becoming increasingly popular, Schopenhauer scheduled his lectures at the same time as Hegel’s to try to combat his philosophy, like Schelling did later, but when this backfired and Schopenhauer only had five students, he resigned after a single semester in disgust. Schopenhauer called Hegel a charlatan who tricks people into believing reason completely fills the world, and wrote that when he read Hegel’s Phenomenology of Spirit he felt as if he were in a madhouse. Schopenhauer also ridiculed Hegel’s conception of history, which presented the West and Germans as the summit of human civilization and world history. Schopenhauer did not see civilization as a progression, but rather the same old mess it has always been. Society is a painful struggle of will. Beneath representation, the divisions of abstractions, there is only one will, divided and at war with itself. The world’s wars and social conflicts, such as the uprisings that contributed to German pessimism, convinced him humanity remained much the same, without the possibility of Hegel’s great ascension. Schopenhauer believed that time doesn’t progress, and wrote that the history of a village and the history of an empire teach us the same thing. This is a very cyclical and cynical view of humanity, one I admit I enjoy. While Hume did not speak his views about theism or atheism publicly, Schopenhauer, like Hegel’s student Marx, was openly atheist, the first of the central modern European philosophers. Schopenhauer did believe that the world was alive, but did not believe that it was rational. Schopenhauer’s solution to the problem of evil was to reject the idea that a living world is a rational world. 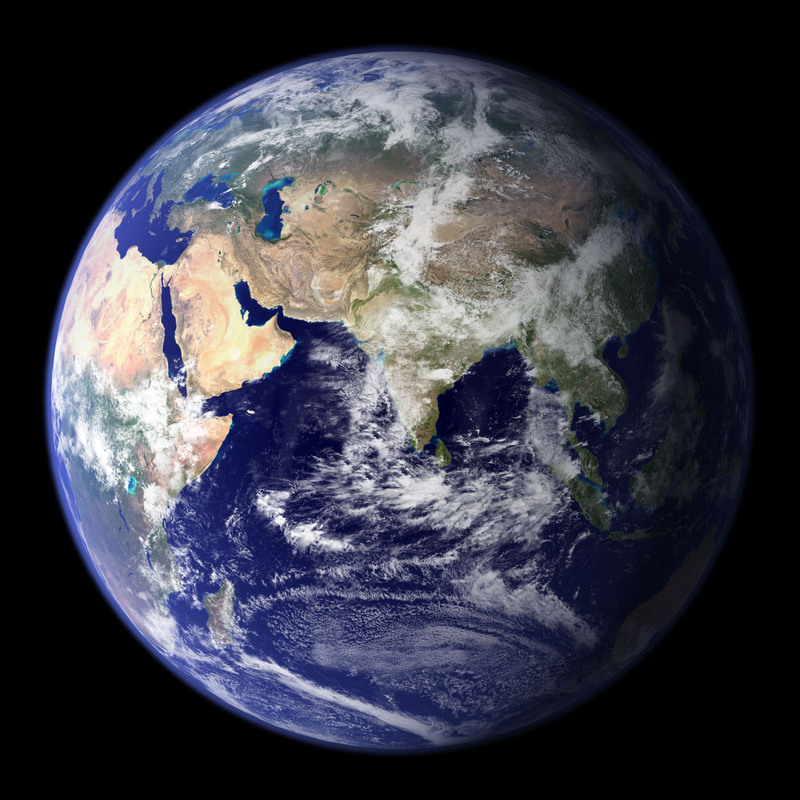 While he believed that the world shared a single will, he believed that rationality had turned the world against itself, each part striving against the other parts, just as Schopenhauer’s teacher Fichte had interpreted Kant. Even as an atheist, Schopenhauer was deeply influenced by Indian thought, specifically the Upanishads, Vedanta and Buddhism. As a youth, he had received a Latin translation of the Upanishads, the distillation of the philosophical meanings of the Hindu Vedas, and he was so impressed with them that he continued to read them every night before bed, and left the book open on his desk. Of the Upanishads, he wrote that they were the most sublime philosophy of world history, the product of “the highest human wisdom”, and that, “it has been the consolation of my life and will be the consolation of my death”. He predicted that the philosophy of the Upanishads, orthodox Hindu texts, may replace Christianity as the religion of Europe. One of the central ideas of the Upanishads is Tat Tvam Asi, “That is you“. Underlying all distinctions of self and other is the unity of the cosmos. Schopenhauer only learned about Buddhism after he had already come to his philosophical convictions, but he saw deep parallels between the Four Noble Truths of the Buddha and his own conception of existence as will and suffering, and would sometimes refer to himself as a Buddhist. The first three of the Four Noble Truths are existence is suffering (unrest/anxiety), the cause of suffering is desire, and there is a way out of suffering. He wrote that, if his own philosophy was correct, it would be expected that it agree with the most popular system of thought in human history. He received instruction in meditation from a friend, though it is unknown whether he practiced with any regularity. Like much of Indian thought and Hume, who himself may very well have been influenced by Indian and Tibetan sources, Schopenhauer argued that thought is caused by will and desire, the fundamental essence of all things. 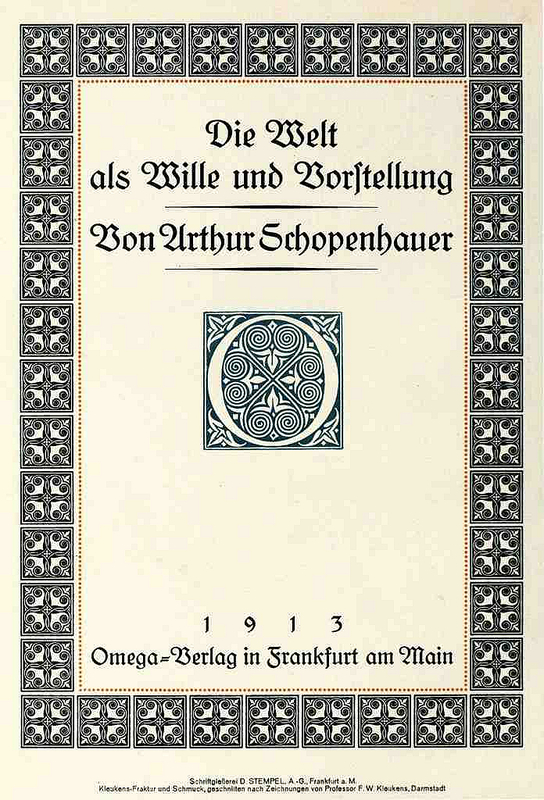 Schopenhauer’s central great work, The World as Will and Representation (Die Welt als Wille und Vorstellung, 1818 CE), famously opens with the words, “The world is my representation”, about as succinct an expression of Idealism possible, particularly standing next to the long-winded works of Kant and Hegel. Both Schopenhauer and Nietzsche rejected Kant and Hegel’s approach of writing exhaustive systems, preferring to have several clear and deep ideas expressed in aphorisms, short focused passages, regardless of how systematic. This has made both more popular and enjoyable to read than Kant and Hegel for non-professionals, such as artists and authors. For Schopenhauer, the mind represents and idealizes the world, which is essentially will. 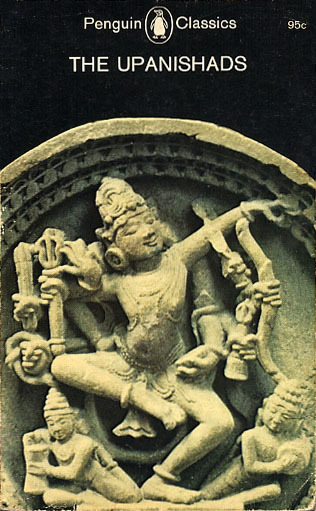 All things, including the concrete self and abstract conceptions, are manifestations of will. The world is full of perpetual striving for ideals that never come to perfection. The classic metaphor he uses is the ship bobbing on a stormy sea. I mentioned that this is far less anchored than Kant’s island. One must recognize one’s condition, and have the courage and will to hold one’s course in spite of the endless hardship. 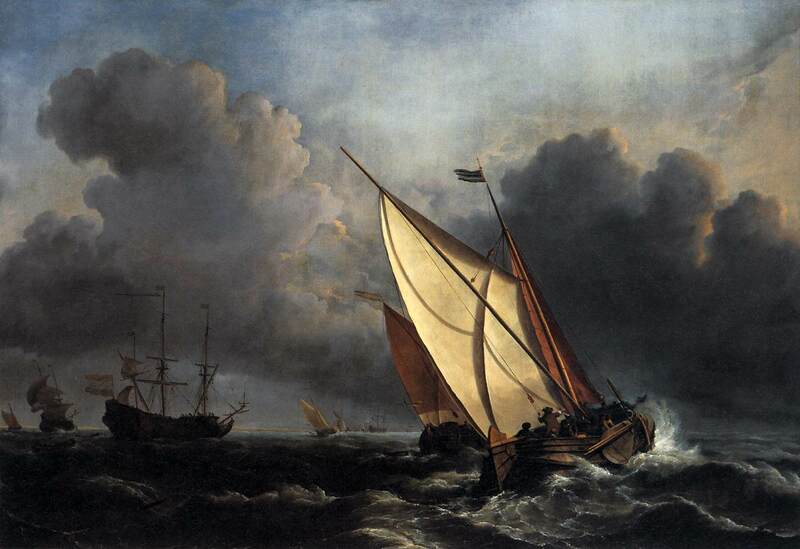 Developing sea legs and a tough stomach, to recognize oneself and one’s world as striving without hope for a Hegelian resolution by reason, is virtue and true strength. 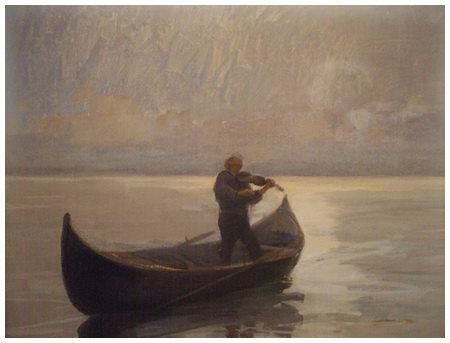 The subject that recognizes itself as willing still sees itself as a self, what Schopenhauer calls the “knot of the world”, the mystery par excellence, the only event purely for and in itself. Other than this authentic recognition, human existence is self-denial, a “pendulum between boredom and pain“. There is for Schopenhauer one escape from will and the self, not Buddhism as the fourth of the Noble Truths says, but art, through which we can temporarily escape ourselves and our desires through ecstasy and identification with others and the whole. 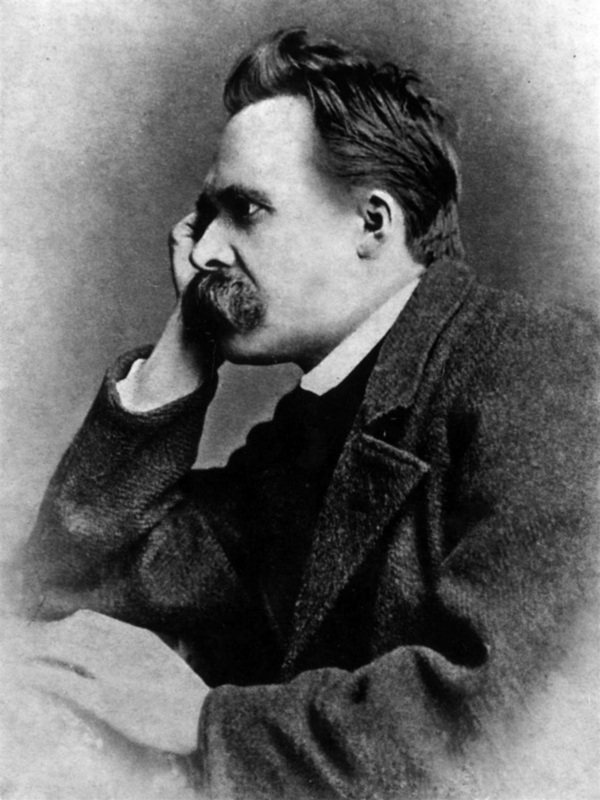 Nietzsche followed Schopenhauer in arguing that creativity is the highest form of life, but Nietzsche argued that it was not the loss of self and escape from will but rather the highest activity of the individual, self-assertion expressing power and accomplishment. For Schopenhauer, it is not standing out as an individual but identification with the world beyond representation, feeling unity with the other that transcends conceptualization. Schopenhauer argued that music is the highest form of art, the form that embodies pure will itself, because unlike visual arts it represents no particular things or ideas. 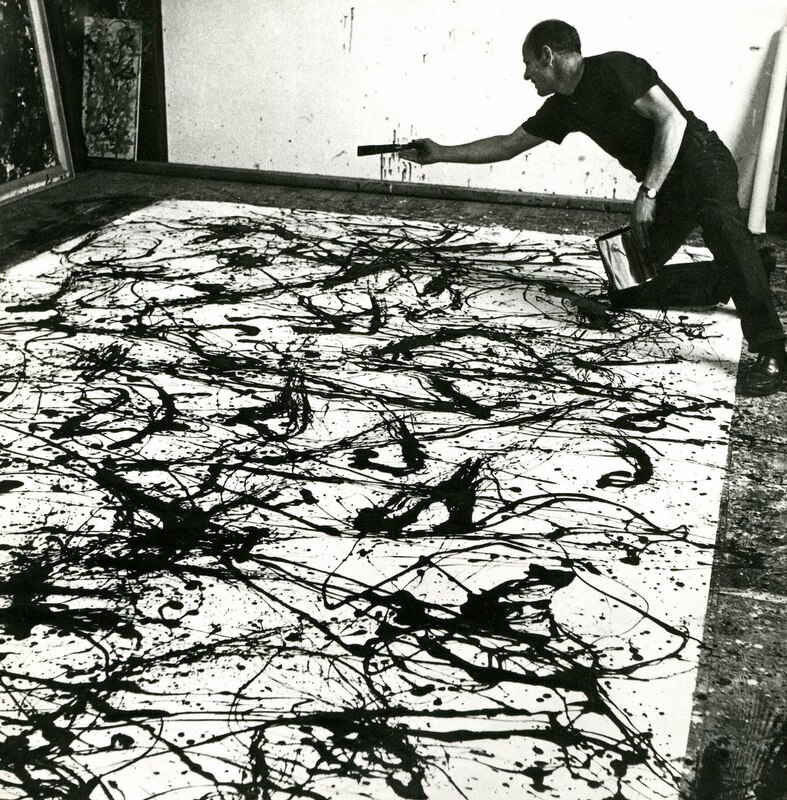 In this way it is similar to American Abstract Minimalist painting and sculpture that became popular in the wake of WWII and with the beatniks, art which goes beyond Cubism, Futurism and Surrealism in representing no particular things but striving to give shape to pure emotion and sensation, a famous example being Jackson Pollock drizzling paint on a canvas. Schopenhauer compared the ‘should’ of the will, its purpose and drive, to the melody of music, and compared music to the numbers of the Pythagoreans and the Chinese Yi Jing, a favorite of Leibniz’s, the deep underlying essential form and representation of fundamental existence. The greatest art after music is tragedy, as it shows us the unified will divided painfully against itself. Consider the works of Shakespeare, and the suffering undergone due to ignorance and passion. Like much of Indian thought, but very unlike Descartes, Schopenhauer saw animals as intimately related to human beings, similar manifestations of will, striving and suffering. Schopenhauer even believed that crystals display will, much like the ancient Greek philosopher Thales believed that magnets have souls, and that crystals are halfway between earth and vegetation. 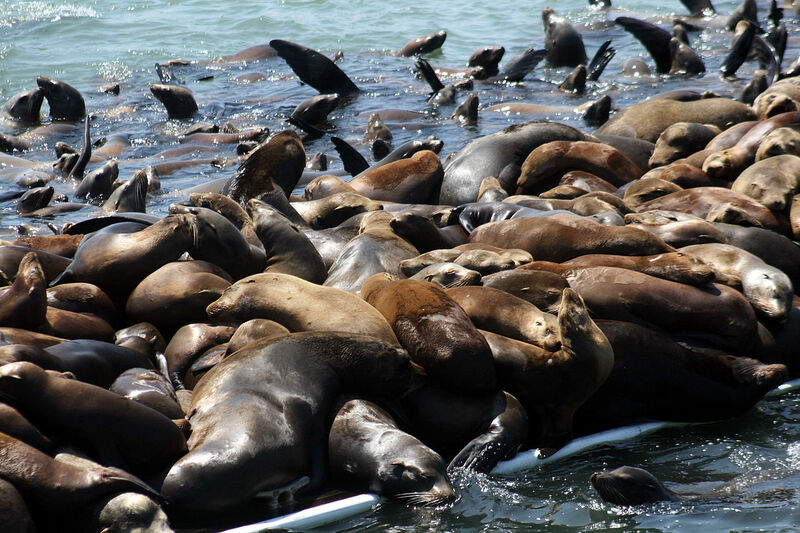 In one passage near the end of The World as Will and Representation, Schopenhauer speaks of sea lions and the way that they form a circle around their young. Whenever a pup tries to escape the circle, it gets a bite from the elders to teach it to stay where it is safe. Clearly he is drawing a comparison between the way sea lions and humans learn through suffering and restricting the will in themselves and others. Fichte might have admired the example. Schopenhauer was a major influence on Freud, who saw civilization and human behaviors as repression of desire and will, as the super-ego putting the ego’s endless search for pleasure in check. In his Civilization and its Discontent, Freud argued that religion is a hopeless attempt to regain the “oceanic feeling” that we had in union with our world before we left the womb. Schopenhauer would agree, but disagree with Freud that regaining this feeling is a hopeless illusion. Nature is blind to its own striving, does not represent itself as a self-concept, nor does it plan its activities through reason. Schopenhauer argued that animals and people can conceive of themselves, representing themselves to themselves as selves, as animals are able to recognize their own names unlike minerals and plants. Recall Berkeley argued we recognize other minds by their ability to have ideas like our own. Schopenhauer argued against the use of the pronoun ‘it’ when referring to animals, as it lead to them being treated as mere objects. This is in complete disagreement with Descartes, who thought that animals are automata without sensation. While Descartes said that there is no greater a misleading mistake as to think that animals have souls, Schopenhauer wrote, “He who is cruel to living creatures cannot be a good man”. For Schopenhauer, animals live in a simpler, continuous present moment, much as Buddhism teaches, incapable of the abstractions needed to harm others through elaborate technologies. Schopenhauer shares a romanticism for a simpler, more authentic past with Rousseau, the Transcendentalists, as well as Chinese Daoists. Schopenhauer believed in compassion for all beings, unless they are human, lower class, and rioting. 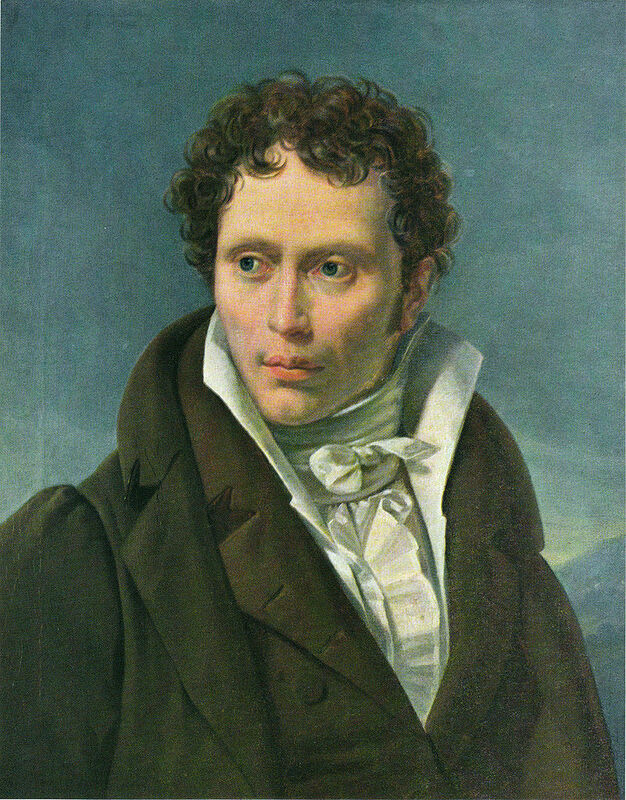 Schopenhauer said he preferred to be ruled by a lion than a fellow rat, clearly a conservative and authoritarian in spite of his radically unique philosophy. While the riots of 1848, part of the disappointment that turned to pessimism, eventually brought Schopenhauer his fame and following, at the time he lent his opera glasses to an army officer sniping rioters from a barricade. Yet, Schopenhauer was opposed to the slave trade and the mistreatment of any people based on ethnicity. Unlike many of his day he believed that the ancient Egyptians and Indians were equal to Europeans. 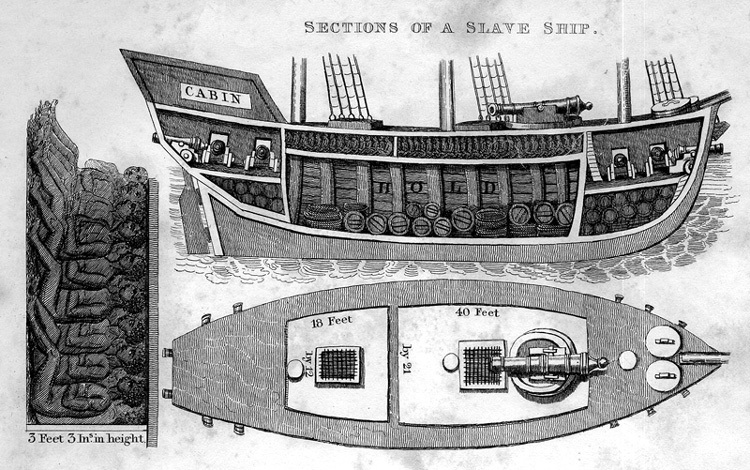 He wrote abolitionist works supporting the movement in the United States, writing, with an unfortunate choice of words, that “our black brothers” were receiving treatment, “belonging to the blackest pages of mankind’s criminal record”. Ethically, Schopenhauer argued that in harming other things, we harm ourselves. Unfortunately this seems to have extended more to animals and slaves than to German rioters. While the world is a Darwinian struggle, there is for Schopenhauer a temporary Buddhistic release in art and recognizing the other as ourselves, such as we do in tragic fiction. 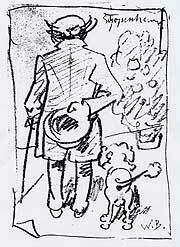 Schopenhauer lived alone except for a series of pets, mostly poodles, who apparently often responded to Schopenhauer when he called their names. He wrote that he could see the immortal will of the cosmos in the eyes of his dog, so what really dies or passes away? Schopenhauer himself died sitting on his couch, next to his pet cat. Hopefully the cat, if not the Upanishads, was a final solace for Schopenhauer. Schopenhauer had a great influence on many, including Nietzsche, Wagner and Wittgenstein, but his work first caught on with artists rather than scholars. 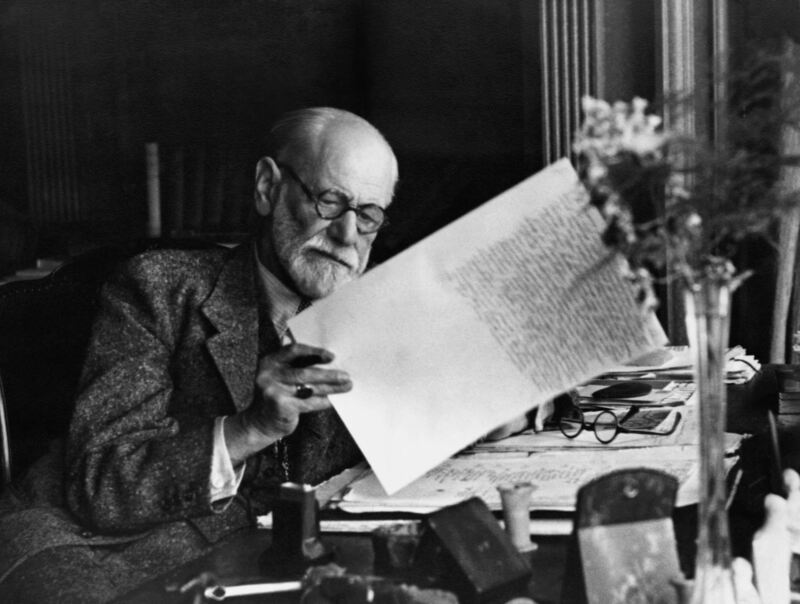 Freud read Schopenhauer and found it remarkable how much his own ideas were prefigured in Schopenhauer’s work, as did his student Carl Jung, as did the Jungian Psychologist Joseph Campbell. The scientists Einstein and Schrodinger both approved of Schopenhauer. Camus, who befriended but later broke with Sartre, was influenced in his Absurdism by Schopenhauer, as was Tolstoy. 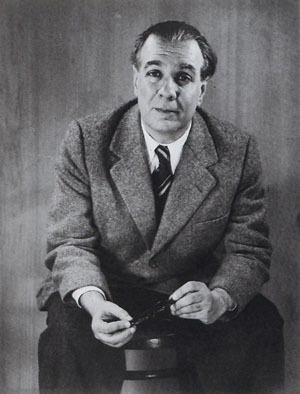 Borges, the great Argentinian surrealist author of the short Ficciones, wrote that he never bothered to systematically present his own philosophy because it had already been written by Schopenhauer.